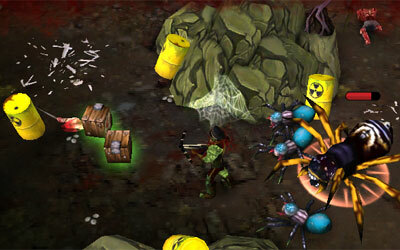 A radioactive barrel, like a barrel, would explode when hit by the player or the mutants. The radioactive substance released would poison any players or mutants within its blast radius and inflict damage over time. It is found in Chapter 3 of the singleplayer campaign to help take out the spiders.